Emergencies can happen anytime and anywhere. Everyone likes to avoid them but when they happen, more often than not, you need the assistance of a professional to get you out of the situation. Paramedics in case of a medical emergency, police in case of a criminal emergency, or fire brigade for rescue and other related services. Similarly, locksmiths are needed when you face a situation that demands a lock & key help. Extraction of broken keys, car lockouts, eviction services etc. all qualify as an emergency and need the services of a 24 – hour emergency locksmith service such as Golden Locksmith Services. Trained to deal with any kind of locksmith emergency, our talented specialists will provide an immediate and effective resolution to your emergency, whatever it might be. That might involve losing house keys, breaking a key in one of your door locks, or even having to quickly change all the locks to prevent access by unauthorized individuals. Regardless of the nature of your emergency, you can be rest assured that our technicians will resolve it before the problem gets any worse. Most common locksmith emergencies are home or car lockouts. Anyone can be locked out of their house, office or vehicle. No one wants to be in such a situation but when they do end up in this situation, they need the assistance of a locksmith. Your trusted local locksmith can get you out of a tricky lockout situation in no time. 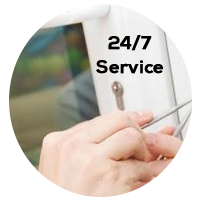 We are known in the Lone Tree, CO community as the most trusted name when it comes to a lockout situation. Our competitors mostly refuse or take a lot of time to respond to emergency locksmith situations. But our team treats every situation as a critical one and responds to every emergency in 15 – 20 minutes. A break-in also qualifies as an emergency situation. Unauthorized persons can try to gain access to your vehicle, house or business premises. A person can try to gain access to your car by trying to break the lock of your car. They might not be able to gain access to your car but it can severely damage the lock. A similar situation that qualifies as an emergency situation is the possibility of a break-in by a previous tenant. To tackle these situations, Golden Locksmith Services’s emergency locksmith services are of tremendous help. Our professional locksmiths will replace your locks in a single session and you can take a sigh of relief knowing that your property is secure again. 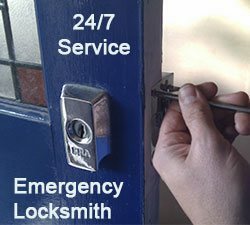 Our customers require a firm they can trust in an emergency and ours is the first name they think of when they need 24-hour locksmith assistance. So, save our number 303-566-9167 on your cell phones and call us, you can expect us to be by your side within minutes, in case of an emergency.